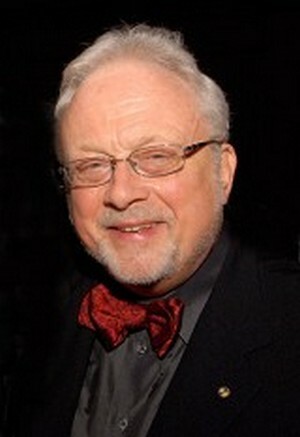 National Medal of Arts, Pulitzer Prize, and Grammy Award-winner William Bolcom is an American composer of chamber, operatic, vocal, choral, cabaret, ragtime, and symphonic music. Born in Seattle, Washington, in May, 1939, exhibited musical talent while still very young. He began composition studies at the age of 11 with George Frederick McKay and John Verall at the University of Washington while continuing piano lessons with Madame Berthe Poncy Jacobson. He later studied with Darius Milhaud at Mills College while working on his Master of Arts degree, with Leland Smith at Stanford University while working on his D.M.A., and with Olivier Messiaen and Milhaud at the Paris Conservatoire, where he received the 2éme Prix de Composition. As a pianist, Bolcom has performed and recorded his own work frequently in collaboration with his wife and musical partner, mezzo-soprano Joan Morris. His music spans the arc from string sonaas and quartets, symphonies, operas, stage and film scores and an extensive catalog of chamber and vocal works. His work “Recuerdos” was commissioned for the 3rd International Two Piano Competition.